With summers approaching with scorching heat, we crave for some cooling desserts after meals maybe that’s why I’m making so many frozen treats lately. So here is yet another non-baking, freezer-friendly recipe which I came across one day while I was surfing some new recipes….I loved it so much that I tried it the same day and believe me it was really worth the effort and long making process. 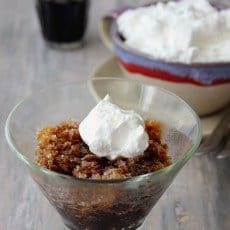 Coffee Granitas are another way to enjoy a slushy drink with a treat of whipped cream on the top, it can be the ultimate coffee cooler for the summer. 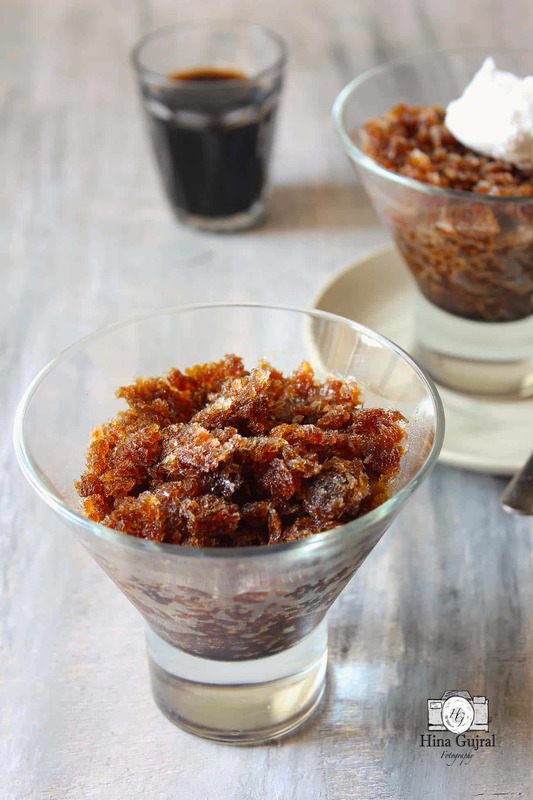 It is so easy to make that even during summer holidays your kids can make for you and trust me people who love caffeine, like me, will definitely enjoy this dessert. 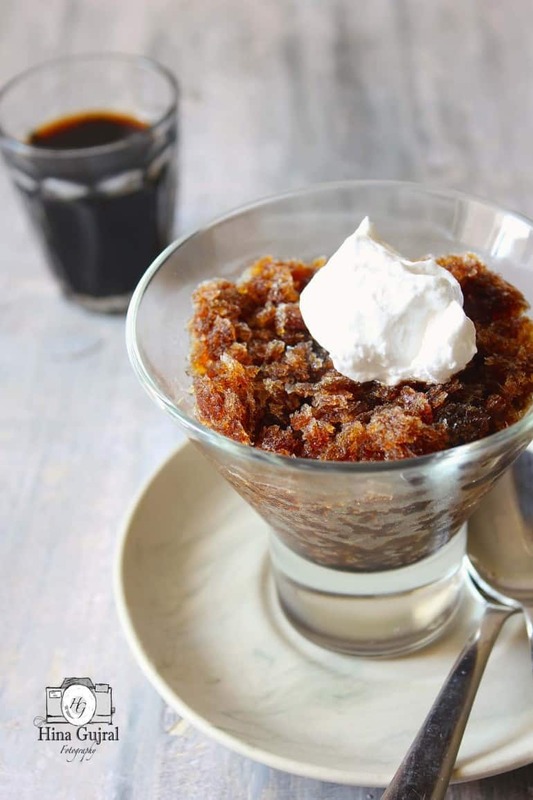 Coffee Granitas are another way to enjoy a slushy drink with a treat of whipped cream on the top. Put a shallow baking dish or tin into the freezer to chill. Stir and dissolve the sugar into the coffee over a low heat. Set aside to cool down. Add the coffee liquor, vanilla into the coffee mixture. Taste and adjust the sugar accordingly. Have another look again in about 30 minutes and repeat the same process as step 3. Keep doing this until the entire mixture is a mass of coffee crystals with no remaining liquid parts. 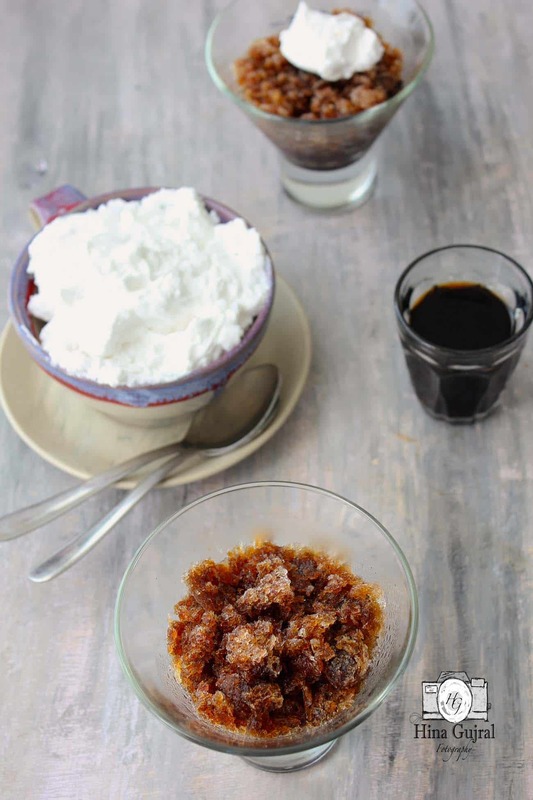 Once this has been achieved, tip the granita into a plastic, lidded box and store in the freezer until needed. Before serving keep the bowls/glasses in the fridge for some time. To serve the granita, stir the frozen mixture with the fork to form coffee crystals. 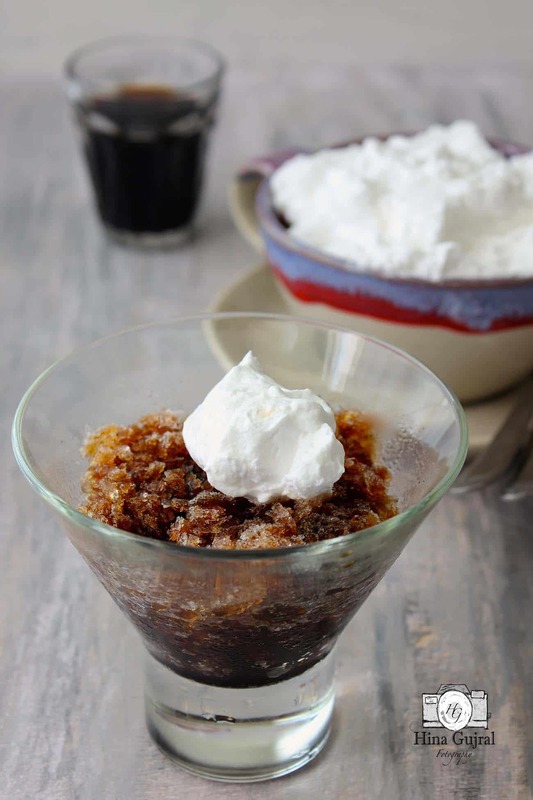 Serve the granita in pre-chilled glasses with the whipped cream on top.